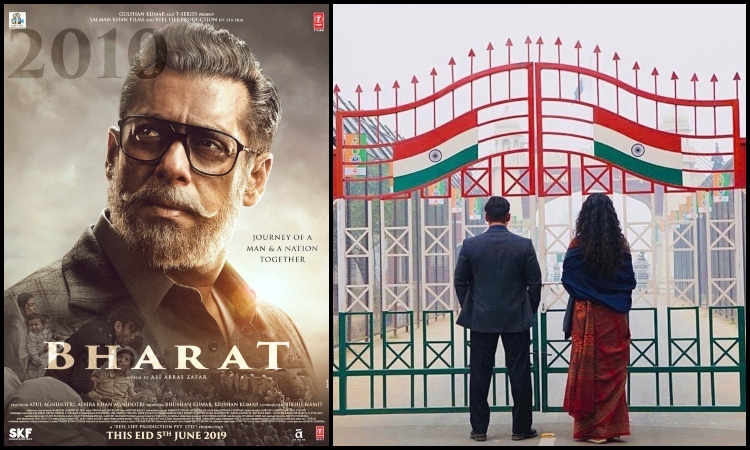 Beginning the journey of a man and a nation, Salman Khan shared the first poster of Bharat featuring himself in an old look with a Grey moustache, beard and hair. One of the most anticipated films of the year, Bharat is all set to take the audience on a ride back in time on 24th April 2019. The first poster of Bharat has come in as a surprise for Salman Khan fans all over as the actor sports a never seen before look of an old, rugged, wise and experienced man with the grey mustache, beard and hair. The 'Dabangg' star will be seen sporting five different looks spanning over 60 years, including a crucial part which will showcase the actor in his late 20s, looking much leaner and younger. Salman Khan took to his social media handle and shared the poster of Bharat with caption, "Jitne safed baal mere sar aur dhaadi mein hain, usse kahin zyada rangeen meri zindagi rahi hain! #Bharat @Bharat_TheFilm @aliabbaszafar @atulreellife @itsBhushanKumar #KatrinaKaif #Tabu @bindasbhidu @DishPatani WhoSunilGrover @nikhilnamit @ReelLifeProdn @SKFilmsOfficial @TSeries"
Bharat will trace the journey of a man spanning six decades, hence, Salman Khan will be seen sporting six varied looks through the years of his life. Earlier, the makers treated the audience with the teaser that gives glimpses into the facades of the film. Directed by Ali Abbas Zafar, 'Bharat' is produced by Atul Agnihotri's Reel Life Production Pvt. Ltd and Bhushan Kumar's T-Series releasing Eid 2019. 'Bharat' is Zafar's third collaboration with Salman after the 2016 film 'Sultan' and the recent 'Tiger Zinda Hai'.